Do it better. Do it with flair. Find out more about the New Kia Optima Sportswagon Plug-in Hybrid with up to 201.8mpg and is available to view at Underwoods Kia in Colchester, Essex. 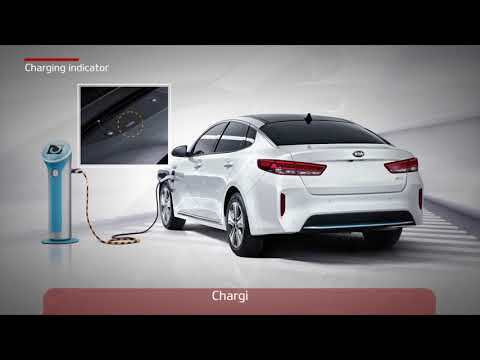 Like all New Kia Cars, the new Kia Optima SW Plug-in Hybrid is covered by our pioneering 7 year vehicle warranty, which consists of 3 year/unlimited mileage and 4-7 year/100,000 mile full manufacturer’s warranty including a 12 year/unlimited mileage anti-perforation warranty. New Kia Optima Sports Wagon Plug-in Hybrid is available to buy from £35,145 at Underwoods - Kia Main Dealer in Colchester, Essex. The driver-oriented interior of the New Kia Optima Sportswagon Plug In Hybrid keeps you connected with plenty of hassle-free – and hands-free – features. The Wireless Phone Charger keeps you switched on at all times, while the Harman/KardonTM sound system delivers premium-quality sound. With 440 l of cargo space, this car is built to take on whatever crops up. Accommodate larger loads or bulkier items by folding flat the 40:20:40 split rear seats. A full set of luggage features keep things orderly and in place. Full hands? The Smart Power Tailgate opens the boot automatically when the Smart Key is nearby. New Kia Optima Sportswagon Plug-in Hybrid proves that you can cut back on emissions – and still deliver on performance. Thanks to its advanced powertrain, it manages to balance efficiency with dynamics, providing a fast and smooth transition from electric mode to hybrid (petrol/electric) operation. Charging socket with a standard EU charging socket, the New Optima Sportswagon Plug-In Hybrid can be charged with a 220V household socket or at a public charging station. The New Optima Sportswagon Plug-in Hybrid supports Android Auto™ and Apple CarPlay™, keeping you connected while you focus on the road. Key driving details clearly appear front and centre. The straightforward cluster shows your current mode and energy flow. Turn to the navigation screen for more information about the battery level, driving style and efficiency. Or search for a nearby charging station. It's eco- and user-friendly in one!